One-on-one mind-body connective therapy sessions are provided using Phoenix Rising Yoga Therapy (PRYT). PRYT is a very different kind of therapy and may be just what you are looking for. Principles of humanistic psychology are blended with restorative yoga and non-diagnostic, non-prescriptive dialogue to provide a unique experience that supports your overall growth. 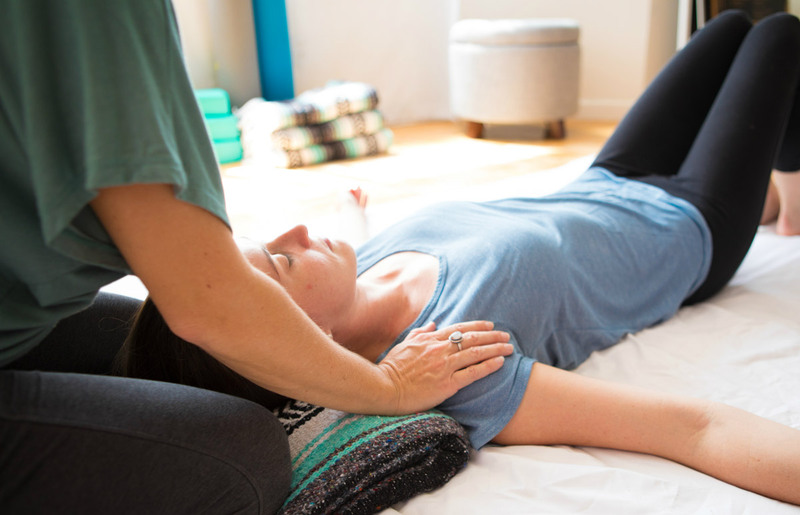 In session, you are guided through non-directive dialogue and movement based on yogic knowledge of the mind-body connection in order to explore what you need or want to in each moment without judgment or analysis. This allows you to you tune into and develop trust in your true self for guidance. In sharing what comes up, you get to experience what it’s like to be fully seen, without judgment. Inviting you to shift from the more common top-down verbal analysis of what is happening for you, to a bottom-up focus on your physical and emotional experience supports you in becoming more aware of the relationship between what is being experienced in your body and how you are participating in your life. Exploring and strengthening connection to this inner wisdom empowers you to create and implement proactive tools into your daily life. In addition to the conditions mentioned above, those with depression, migraines, stress, trauma and PTSD, ADHD, back problems, heart conditions, cancer, menopause and sports related injuries have also found relief utilizing this process. PRYT is a great compliment to a variety of other services including Neurology, Orthopedics, Psychiatry, Sports Science, Psychology, Oncology, Nursing and Injury Rehabilitation.